Evaluating issues and making timely contributions on newly emerging food safety concerns. 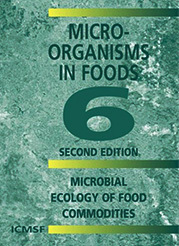 Microorganisms in Foods books provide practical guidance on microbiological food safety and quality. Illustrated ICMSF Simplified Guide to Understanding and Using Food Safety Objectives and Performance Objectives. 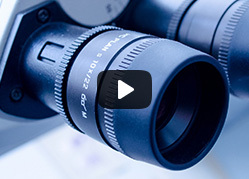 Videos on ICMSF history and microbiological sampling, testing and related topics. Microbiological sampling plans: a tool to explore ICMSF recommendations. 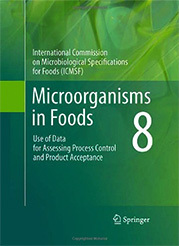 The International Commission on Microbiological Specifications for Foods (ICMSF, the Commission) was formed in 1962 through the action of the International Committee on Food Microbiology and Hygiene, a committee of the International Union of Microbiological Societies (IUMS). Through the IUMS, the ICMSF is linked to the International Union of Biological Societies (IUBS) and to the World Health Organization (WHO) of the United Nations. Provide the scientific basis for microbiological criteria and to promote principles for their establishment and application. Overcome the difficulties caused by nations’ varying microbiological standards and analytical methods. 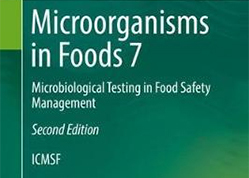 The updated Microorganisms in Foods 7: Microbiological Testing in Food Safety Management 2nd Edition is now available. 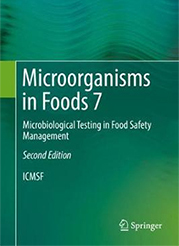 Short videos on microbiological testing, sampling plans and history of ICMSF. Since its founding, the ICMSF has had a profound impact on the field of food microbiology. Its activities and recommendations are published as books, papers or proceedings. The future success of ICMSF will continue to depend upon the efforts of members, support from consultants who generously volunteer their time, and those who provide the financial support so essential to the Commission’s activities.